Syncfusion Essential PDF is a .NET PDF library that allows you to combine or merge different PDF files into one file and split a PDF file into different sub-documents quickly and accurately. Merge and split PDF functionalities can be used in any .NET application, whether it is Windows Forms, WPF, ASP.NET (web forms, MVC, Core) or even UWP, Xamarin.Forms, Xamarin.Android, and Xamarin.iOS. It will help you split, combine, import, and append PDFs with just a few lines of code using C# or VB.NET. Developers can easily and accurately disassemble a multi-page PDF document into two or more separate PDF files by pages. It is also possible to generate files with destination file name pattern. Besides this process, developers can also import or delete certain pages from the existing PDF file. 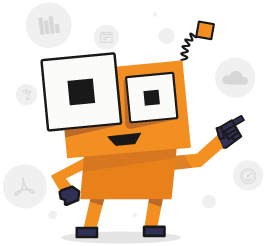 Split PDF files by individual pages, page ranges. files by file size, and bookmarks. The Syncfusion .NET PDF library combines or merges different PDF files or pages to form a single document. It preserves the exact layout, form fields, annotations, bookmarks and appearance of the source files. Besides this process, developers can also create a new PDF with certain pages from the existing document and also combine group of PDF files from specific directory or folder. Combine multiple PDF files from disk and stream. Import or insert pages from one PDF file to another. Specify a range of pages to be merged from separate PDF documents. Rotate PDF pages and merge. Convert landscape to portrait and merge. Crop PDF page and combine. Merge and fill form fields. Create bookmarks based on the combined document. Combine and digitally sign the PDF.